As I mentioned last week this week was about dimpling, deburring, countersinking, and even some priming. 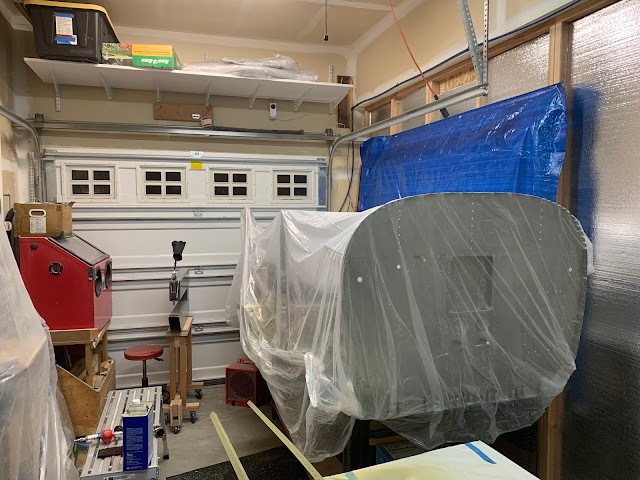 I finished up the priming last night and had to do it in the garage because its too cold to use my basement (crawlspace actually) painting booth. That means hanging lots of plastic and putting up with the smell of Akzo 2 part epoxy that seems to permeate anything! I can't believe I am saying this but I miss the priming process. 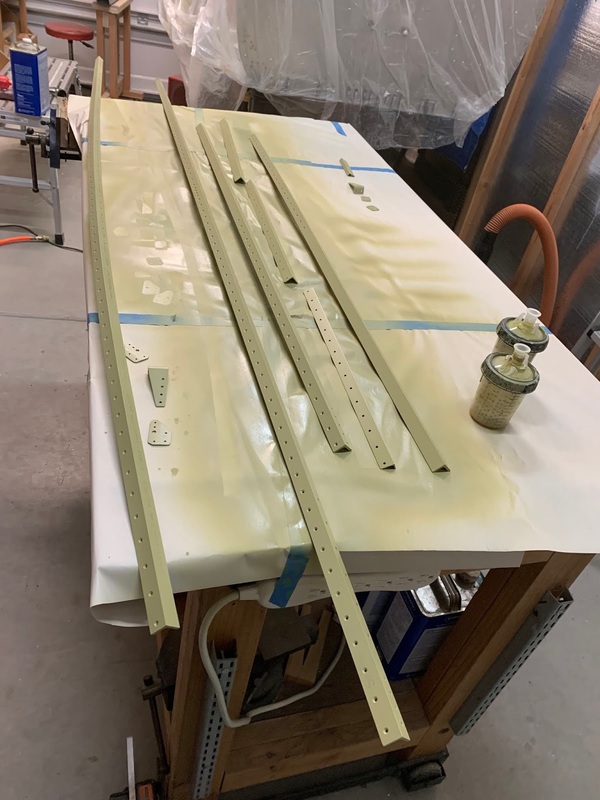 The parts look so nice when they are fully primed but I'm trying hard to stick to my plan to not prime things that don't need it on the interior of the fuselage. It just adds weight and no benefit. Some parts still need priming such as anything made from the aluminum angle we work with. The longerons and a few other parts that I manufactured all got some primer. I also primed a few small parts simply because they were pretty scuffed up from the initial assembly process. Looking at the pictures below reminded me that I don't think I have ever talked about the priming system I use. A couple of years ago I purchased the 3M Accuspray system and have been very happy with it. Its a system of disposable cups, and spray nozzles that makes mixing, spraying, and clean up a very simple task. The spray pattern has been excellent, in fact its as good or better than the expensive paint gun (Devilblis) I purchased when I was working on the 9. Longerons, and other parts after priming. Fuselage under plastic to keep the primer dust off.